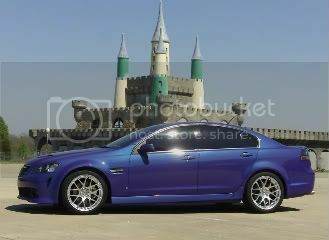 Pontiac G8 Forum: G8 Forums - G8Board.com > G8 Tech > Wheels / Tires > Offset Reference Ranges - "Will it Fit?" 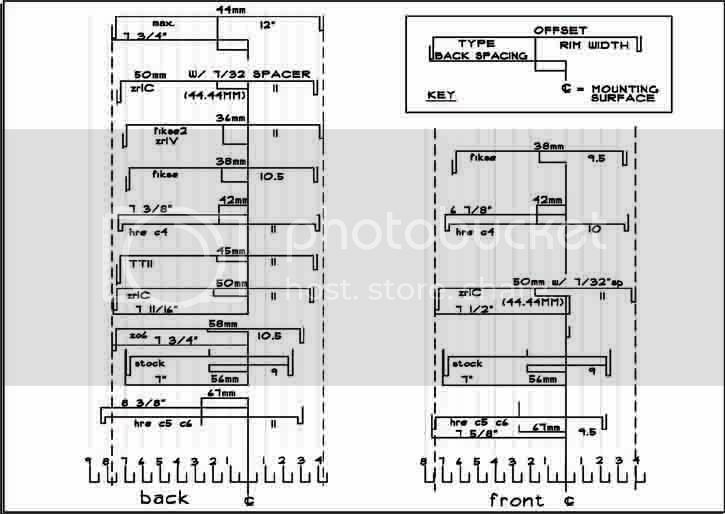 Offset Reference Ranges - "Will it Fit?" I scoured both Boards and analyzed dozens of threads and hundreds of posts to compile a list of wheel offsets based on rim width that seem to be working for people. Looking for larger and/or wider wheels & tires myself, I know how challenging this can be. I was able to find 30-40 posts that mention complete wheel & tire measurements and had photos. I did not include anything where the pictures looked like the tires sat at or outside of the fenders. I eliminated almost every mention of fitments that rub, except where I note it. Now, when I look for wheels, depending on the rim width I'm looking at, I can see if the offset I'm looking at falls into a generally accepted range that has been proven by other members. 8.5" 30-45 Majority are running 35-40. 9" 38-51 Majority are running 38. Stock is 245/45-18 or 245/40-19 Front and Rear. 245 & 255 are most common. Even 265. Now 275. Some have tried 285. 45-18 and 40-19 are common. 10" 40-55 Majority are 45, also 20x10 +60 with a 295/30-20 tucked and did not rub! 10.5" 46-47 50 seen now too. 275 & 285 are most common; up to 305 on lowered vehicle which required cutting & rolling. 40-18 and 35-19 are common. If anyone has any additional known fitments that do not cause rubbing issues OR if anyone sees any mistakes in here, please let me know and I'll add/change/delete to this list. - Inner Wheel Well Wall to Wheel Mounting Surface = 8.715"
- Shock Bump-Out to Wheel Mounting Surface = 8.215"
- Inner Wheel Well Wall to OS Edge Fender Minus a .125" Rolled-up Flat Lip = 12.625"
- Shock Bump-Out to Rolled-up Flat Lip = 12.125"
- Shock Bump-Out Plus extra .125" Clearance to Rolled-up Flat Lip = 12.000"
- Inner Wheel Well Wall to IS Edge of Non-Rolled Lip = 11.875"
- Shock Bump-Out to IS Edge of Non-Rolled Lip = 11.375"
- Shock Bump-Out Plus extra .125" Clearance to IS Edge of Non-Rolled Lip = 11.25"
Last edited by SRG963; 03-11-2010 at 03:55 PM. Last edited by karl f; 11-19-2009 at 03:02 PM. So do I. Thanks for your effort in providing helpful info for the community SpeedRacerX. I'll sticky this thread. I am looking for replacement wheels right now and this type of thread is so useful, especially because the wheels on the car currently were not my doing (20 x 8.5 aftermarket). Great job SpeedRacer, thanks for taking the time to do this! Looking for some input here and verification of my math! According to the "Monster Meats" thread, they fit 19x9.5ET34 up front. If I go with 19x8.5ET20, this would stick out towards the fender about 1.3mm further (0.05") compared to the 9.5ET34. Am I right here? Then going with a smaller tire compared to "Monster Meats", I shouldn't expect any rubbing but good concavity. im jus making sure but a 19x9.5 with a 35 offset in the rear with 275.35.19 is ok right? +35 is too small an offset for a 9.5" rear wheel IMO. It may work as long as you don't load up with passengers or lower your car any. I know it says +35 for a 9.5" is OK in the data above but it was the lowest positive one that didn't stick out of the fender well and ALL the above (unless noted) safely assumed no lowering. Some were lowered but it wasn't my intention to try and decipher lowering and rubbing scenarios. There's a reason why most of those I found for rear 9.5" are in the +42 to +45 (even +47) range as SRG963 has pointed out. I'm not saying it can't work - because clearly it did for other people - but I agree with SRG963. I would be careful. IMHO. o ok thanks so 45 would work better right? Will a +45 work on a front 8.5" wheel? I've done some calculations, and compared to the Intense offsets and widths. There is 2mm more clearance compared to the Intense G8 and there is 3mm less clearance than the stock 8" wheel. According to the info here a 20x10" wheel with a 35mm offset has NO SHOT, so I am just curious as how all the staggered breyton gts wheels fit peoples cars? Tirerack has them in only 35mm offset, and some people even have their cars lowered yet it still works. Any info on how that is possible? Kooks, VMS, Roto-Fab, Solo, BMR. Tirerack has them in only 35mm offset, and some people even have their cars lowered yet it still works. Any info on how that is possible? Anything is possible If you don't ever load up the G8, you can get away with it. Oh ok. So there is no mythical 20x10 45mm offset Breyton gts rim somewhere that I missed? Seems like it will work, after all, you can get a 255 to clear the inside on a stock 8" rim and that ends up adding 5mm to the inside (in affect a +43 offset). All depends on the tire width and how true the brand of tire runs. what size tire? 10" wide and +35 has a "shot" it's just that (well almost any size tire) will sit completely under the lip and you risk rubbing badly when lowered or when weight is in the back plus when hitting big bumps UNLESS fenders are rolled or cut. It can be made to work if you are into that look and are willing to make the necessary sacrifices. Wasn't worth the headaches to me. To others, well worth it and quite frankly, most aftermarket wheels and tires enhance the looks of this car. Not that we are aware of unless someone shaved 10mm off the back of their +35mm wheel.